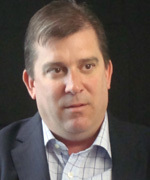 John Kopeck, former director of sales, Edmonton Journal, started at The Journal as a marketing coordinator in 1997. Kopeck worked his way up to manager of sales, in 2013 and served in that position until 2015. Prior to coming to The Journal, from 1992 – 1997, he was an events manager and grants consultant for the Wild Rose Foundation, an Alberta Lottery Foundation. In 2015, he became a consultant in sales and marketing and community development.